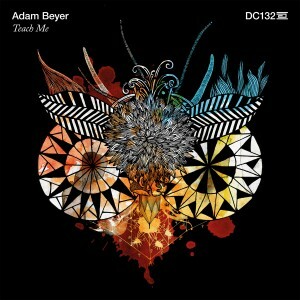 Techno tour de force Adam Beyer is having an amazing year both in the studio and on the stage, and finally we get to hear a solo offering on his beloved Drumcode imprint. Opening track “Teach Me” starts with a rather bleak intro featuring an elongated string chord, but when Beyer’s signature straight-forward percussion kicks in, you know you’re in for a treat. The track continues to evolve using echoing vocal samples and various rhythmic patterns to create a dynamic, emotional listening experience. Arguably the most “traditional” techno track, “Darlek,” is next, and is a real win for any DJ who likes to combine the techno of Detroit with that of the European heavyweights. “Stop Talking” is a deep, eerie cut which will surely grace many warehouse parties in the following months. Closing out is “Spaceman,” amplifying the funk factor with shuffling percussion, bumpy sub bass, and rhythmic vocals. Fans of Beyer’s massive live sets may be surprised by the minimal vibes of this EP, but it’s clear that he’s an artist with a desire to express himself in more ways than one, and we definitely approve. Sometimes, the best music comes from improvisation. 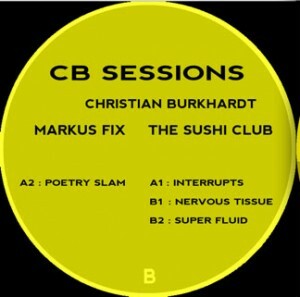 Tech house mainstay Christian Burkhardt is so fond of this that he just started the CB Sessions, a label based around the concept of capturing the raw feeling of the moment and turning it into a recording. All of its music will be taken from jam sessions with his friends, in this case Tomio Tremmel AKA The Sushi Club and Italian producer Markus Fix. Each of these four collaborations are as natural-sounding as you’d imagine, and each has its own character. “Interrupts” is blippy and clangy, “Nervous Tissue” is light-hearted and fun, “Super Fluid” is deep and drippy, and “Poetry Slam” is exciting and happy. It’s incredibly refreshing to hear such talent in an unfiltered setting. Nothing is over-thought or over-processed, merely an expression of a place and time done through electronic instruments and manipulation. This is a fun listen from start to end and should come with a guarantee that you’ll be inspired to hit the studio. Keep it up, CB. 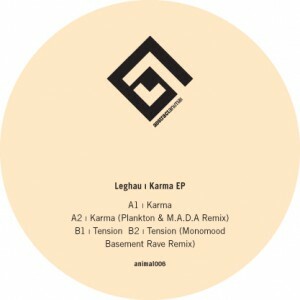 Coming up in the growing French techno scene is Leghau, a young producer with a lot of skill. The forthcoming Karma EP is a hypnotic, whirring 4-tracker with just the right amount of bark and bite. The title track sets the mood with a pulsating bassline and captivating synths. The M.A.D.A. & Plankton remix appeals to fans of darker, dronier sounds, adding metallic-sounding elements to the original. On the flip side, second original “Tension” lives up to its name. Many climactic moments surface by spacious shifts in patterns of sound and tone. Finishing off the EP is Monomood‘s Basement Rave remix, a fantastic portrayal of what the 90s would’ve sounded like if someone gave them a few hints into the future. Pick this one up if you’re looking to add some depth to your techno collection.